Aditi Ashok poses with the Fatima Bint Mubarak Ladies Open title. 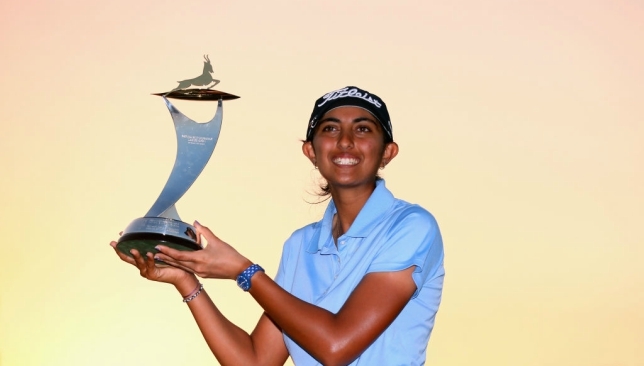 Ashok who started the day in first position after three solid performances, hit her weakest round of the week; which was still an astonishingly low three under par, helping her to a third career LET title and €70,787.85 first prize purse. 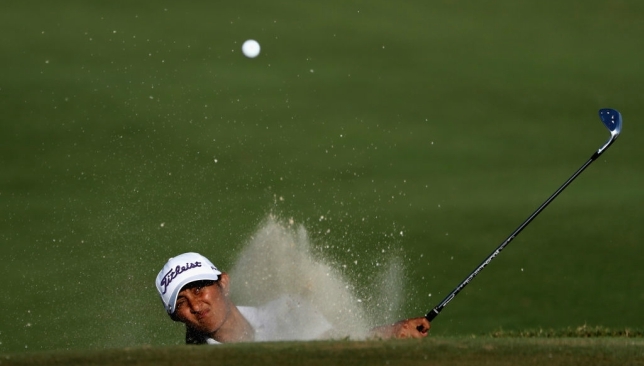 Ashok was certainly the most consistent over the four days so it was no surprise the seasoned golfer would be in the mix. Meanwhile, Georgia Hall went into the day in fifth position, looking to better her runner-up performance from 2016, and with a stellar front nine of 33 consisting of three birdies and six pars, the talented Hall looked confident. 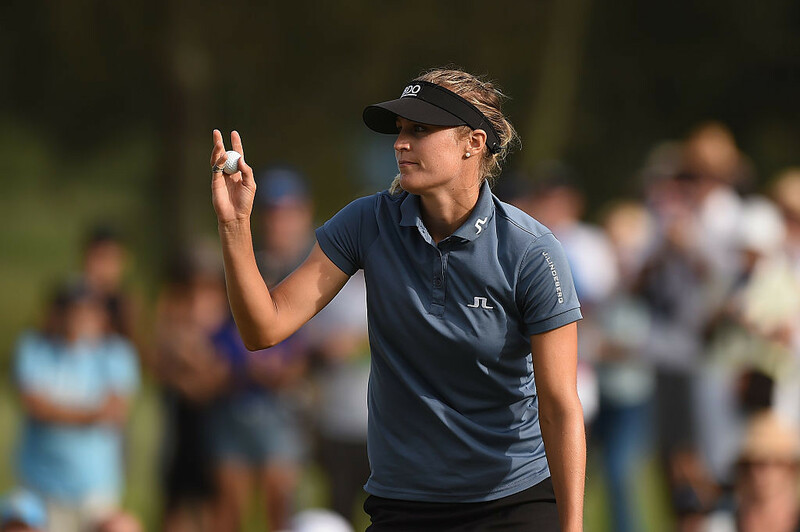 The back nine saw the requisite number of birdies excruciatingly fall short for Hall who managed three birdies and six pars for the remaining back nine, meaning she had to settle for second place. Georgia Hall finished second with a flawless 6-birdie 66. Dr Mai Al Jaber, Board Member of The Fatima Bint Mubarak Ladies Sports Academy, said: “Congratulations to all the lady golfers. It has been wonderful to witness their power and grace this week and they have provided us with four days of amazing action. I have no doubt that their participation will inspire women of all ages to become involved in this sport. Sweden’s Camilla Lennrath ran the top two close. India's Aditi Ashok fired a round of 68 to lead by two strokes. 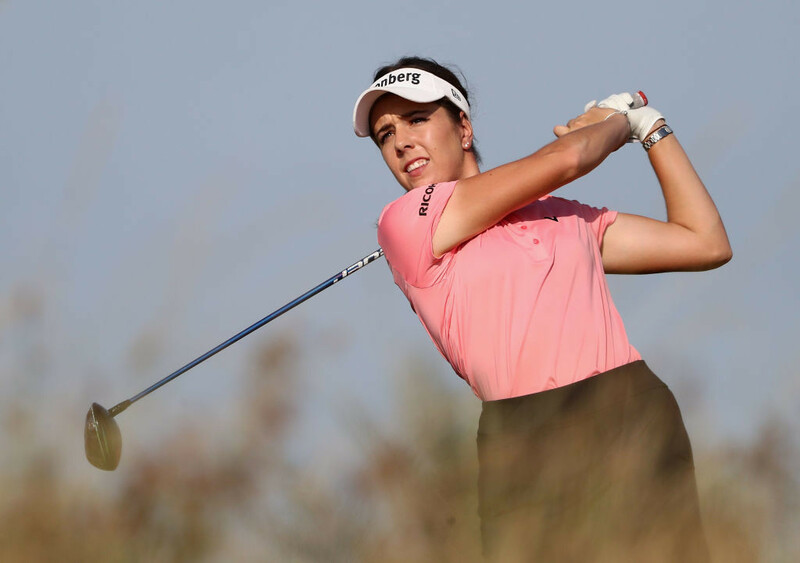 ‘Moving day’ at the Fatima Bint Mubarak Ladies Open saw another first-class display from the Ladies European Tour pros, as Indian maestro Aditi Ashok by-passed Lee-Ann Pace to claim top spot on the leaderboard. All eyes were on Cheyenne Woods this morning, as the young American looked to build on yesterday’s spectacular hole-in-one and overall third place position and she didn’t disappoint. Woods managed a fantastic round, posting five birdies to put herself in second place ahead of the final day. She said: “I had a pretty solid round altogether, played well from start to finish and gave myself lots of birdie chances, as I just wanted to be up there with the leaders. I am ready for tomorrow and excited for what it will bring”. The third round was brimming with action, as 28-year-old Brit Eleanor Givens scored 8 under, tallying six birdies and one eagle in a stellar round, putting her in tied third position overall with Lee-Anne Pace, whilst Ashok carded 68 to take an overnight lead of two shots. USA’s Cheyenne Woods impressive display saw her climb to the second spot. Some of the biggest names in women’s golf launched this year’s Fatima Bint Mubarak Ladies Open in spectacular style on Monday. In what was a photocall to rival most promotional activities, three of the ladies had the opportunity to enjoy a special visit to the Liwa Desert ahead of the tournament. As the setting Arabian sun bathed across the stunning vista, LET stalwarts Belen Mozo and Amy Boulden were joined by rookie Inci Mehmet to take in breathtaking views of the sand dunes whilst practising their golf swing. The Fatima Bint Mubarak Ladies Open runs from Wednesday November 1 to Saturday November 4 at Saadiyat Beach Golf Club. The tournament is sponsored by: Fatima Bint Mubarak Ladies Sports Academy, Abu Dhabi Sports Council, TDIC, Al Masaood, Etihad Airways, Marriott Downtown Abu Dhabi and Omega. The event is free to attend and public can register for free tickets at www.fbmladiesopen.com/tickets or on the gate on the day.